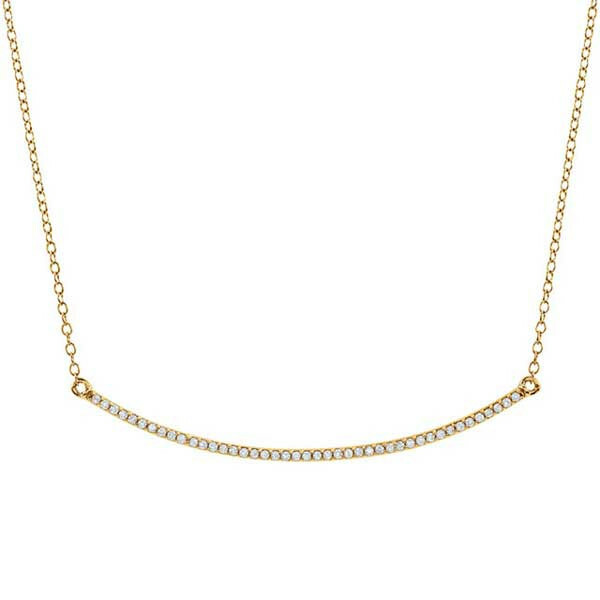 This curved bar necklace is ready for anything! Fashioned in 14kt yellow gold, it features a horizontal bar dotted with white diamonds on a chain that adjusts between 16" and 18". Wear this necklace high or wear it low; wear it for a night-on-the-town or when things are a bit slow!